Fall TV is coming! Fall TV is coming! This week the weather has been horrifically hot and humid in DC (where did our lovely, cooler-than-average summer?! ), so we are all ready for fall and everything that comes with it (riding boots! scarves! apple-picking!). I, for one, am ready for my programs to come back. 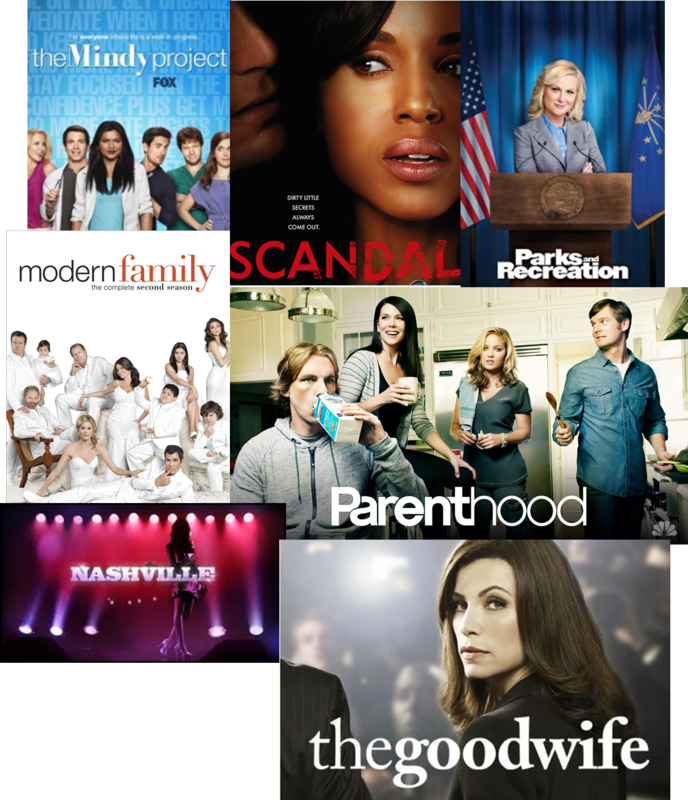 Nothing groundbreaking on here from last year, though Scandal and Nashville are on the chopping block. Nashville has gotten a little too ridiculous, and Scandal ended so perfectly last season that I want to stop watching for fear of them screwing it up. Notice something new? The Good Wife. I am now an Amazon Prime member, and have the whole series at my disposal. I'm only on season 1, but am loving it so far. The Alicia-Will chemistry drives me crazy (and, yes, I know how it ends). For the shows I really can't wait for? It's a tie between Mindy Project/Parenthood/Parks and Rec. Though its bittersweet--P&R and Parenthood are on their victory lap and I will miss them SO much. Here's to a new show this season capturing my heart and being a worth replacement. So excited for fall TV!